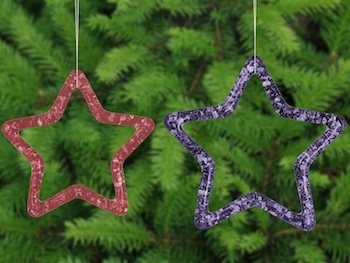 Our Holiday Stars are a perfect way to decorate your Christmas tree, windows, or even your office cubicle. They are a great way to brighten winter days and also make perfect gifts. 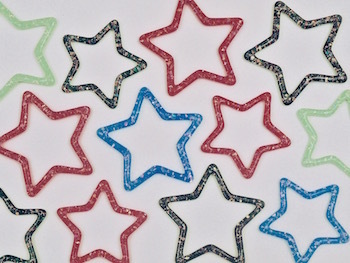 The Holiday Stars are easy to make and require only one firing. Best results are had using ZYP BN Aerosol. 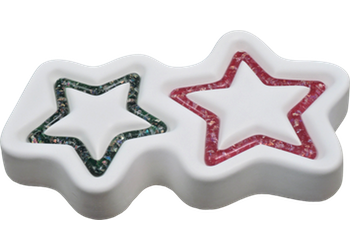 The Holiday Stars mold is about 9 x 5 x 1 inches (23 x 12.5 x 2.5 cm). 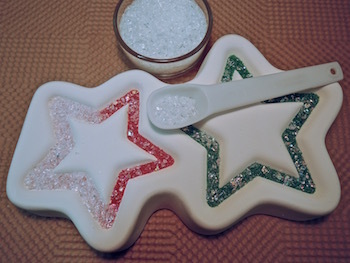 The fill weight for the stars are 17 and 25 grams. The finished pieces are 4 and 3.25 inches (100 and 84 mm) across. 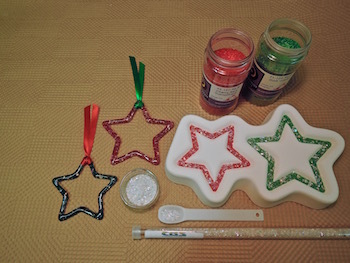 Click on the green LEARN tab to download the Holiday Stars project sheet and to watch videos about priming our molds.